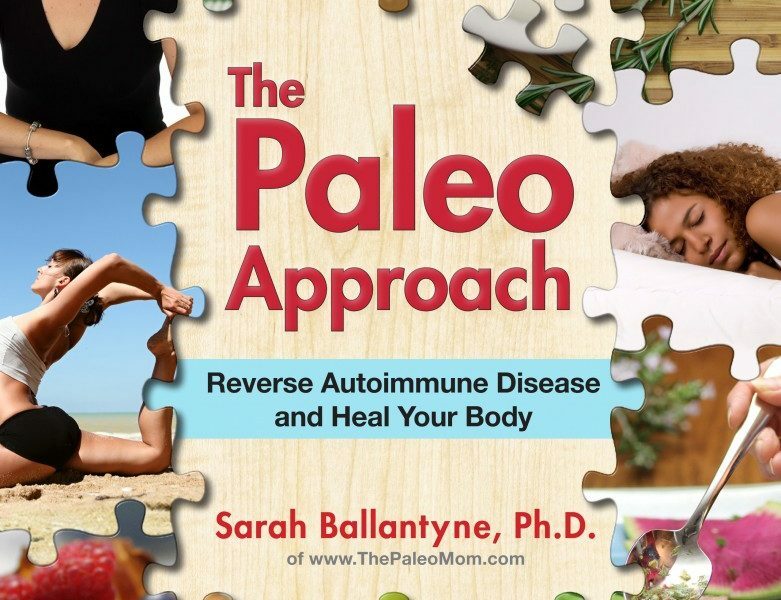 I have been diligently working over the last few days to completely update The Autoimmune Protocol page to reflect all of the recommendations in my upcoming book The Paleo Approach. When I started writing my book, I decided that I would not make a single recommendation that I couldn’t back up with solid science. I decided that I wouldn’t rely on what I’d read on other people’s blogs or in their books, but instead read the medical/scientific journal articles myself and re-evaluate every single aspect of the autoimmune protocol. After all, I am making recommendations for some very sick people. There’s some pretty intense pressure to get it right. 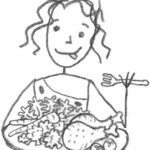 This page now reflects my most current understanding of the optimal diet for managing autoimmune disease. 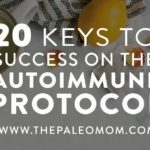 There are some important updates for those following The Autoimmune Protocol so I urge everyone to have a look. Please note that my site is in the process of migrating to a new (and a billion times better) web host because my old host can not handle my traffic (it’s a good problem to have!). If you are having trouble viewing this page or any other post on my site, just keep trying (the migration should be happening any day now, but until then, you might see a “database connection error” during higher traffic times). If it’s really frustrating, overnight and mornings are the quietest times on the blog so are also the most likely for you to be able to “get through”. Hi! I have been following the AIP for about 6 weeks. Still no improvment in psoriasis on My elbows, but maybe a bit better in my joints. I have been wondering if its normal that it goes one step forward och then one step back again or should everything just get better and better during the AIP? Second question is wheat grass: have been taking a lot of it to get better in my joints, should I stop taking that and why? Yes, I recommend eliminating wheat grass since it contains wheat germ agglutinin. Now, questions: I have Hashimoto’s and have been on GAPS for about 1 year and doing much better (my antibodies returned to normal, I felt pretty good, no eczema), until 2 months ago. Then (possibly after eating tuna) I started feeling really unwell, and have had terrible ekzema and other skin eruptions. I tried to do a detox protocol (from Susan Blum’s, M.D. The Immune System Recovery Plan -book) with foods and supplements, and it seemed to have worsened, or conincided with worsening of, everything. My eczema is still on and raging (even with the use of steroids), plus I have a bleeding that started (like spotting/menses), and my neck has been really itching (I wonder if it indicates inflammation in the thyroid). I have read your blog and thought about AIP for a while. But it just felt so restrictive. Being on GAPS has been a major commitment for me, and I did improve dramatically on it. So giving up eggs, dairy, and nuts (and other things on AIP) – I just felt I could not do it. I have hard time keeping weight on. But I have just come back from the doctor and my antibodies went up (corresponding to the worsening of my symptoms). So, I am seriously thinking about taking a plunge. (I have ordered Mickey’s cookbook too). But I have been taking the Green Pastures CLO (the mix of CLO and Butter Oil). In your opinion, should I discontinue that too, since it has butter oil in it? Thank you so much again, Natalya. And, could you share about the problems of “agglutinin?” I had thought that drinking wheat grass was safe, b/c it does not have gluten in it. But your response to the post above seems to indicate otherwise. So, one of the things with GAPS is that it is very low carbohydrate and going too low carbohydrate can actually be put a strain on the thyroid (insulin is required for T4 to T3 conversion). It could be that GAPS fixed some issues but then over time created new ones (although this is an importable idea to test). By going with the AIP, you might lose the flexibility of egg, nuts and dairy initially, but you will gain lots of flexibility with fruits and vegetables. I would generally recommend just straight FCLO, but don’t throw out your BO blend because after you start doing better again, you can try it and see how it affects you. WGA is a very nasty little protein, equally as insidious as gluten (the protein typically responsible for wheat allergy and worse, is being introduced into GMO crops like corn as an antimicrobial). It is very good at crossing the gut, and opens up the enterocyte tight junctions on its way through the gut barrier. There is less of it in wheat grass than in the seed, but its still there. HI….the first link isn’t working….can you tell me what product that is? Thank you! Most definitely will do. Thanks again so much. I am so sorry to keep asking questions, but I have three more. I hope it’s OK. Kindly share with me what you think. So I have decided to make a plunge with AIP, supported with DGL, L-Glutamine, and the enzymes that you recommended. Today I am gearing up my kitchen for all this to start. 1. Since I am transitioning from GAPS (and yes, I at times struggle to get my carbs in, and I feel it when I don’t, but it is getting hard to eat squash everyday), do you think I should incorporate the safe AIP but GAPS-illegal starches: okra, sweet potatoes, plantain, slippery elm tea, arrowroot powder, etc? 3. I know you recommend the capsule DGL with nothing else added, so I ordered it. I am used to the chew-it-up-before-meal type, and I’d thought that it is necessary to do so. But with this one, do I just swallow one in the morning per day? one 20 min before every meal? I would avoid slippery elm since it’s an immune stimulator. But yes, I think it would be good to add in some starchy veggies (I’m on the fence about okra since so many other mucilaginous veggies are problematic). You shouldn’t need a K2 supplement if you are eating organ meat and grass-fed pasture-raised meats relatively frequently. Your best source of K2 is actually from healthy gut bacteria converting it from K1 in dark leafy greens. If you do want to supplement, I’d go with fermented cod liver oil. Just take the DGL capsules when you normally would have had your chewable. I know this is a very old thread at this point, but could you go into more detail as to how or why slippery elm is an immune stimulator? Wow. Sara, you know so much – I never heard about immune stimulating properties of elm – I really cannot wait till your book comes out! Yes, I just ordered CLO (w/o the HVBO). And, in response to your earlier post about Morocco products – your hair does look stunning, so silky and curly and just beautiful. But I do like your “meet Sarah” picture too. And I think the lighter background would highlight your hair even more! Sara, I am back again. First to thank you: I added “Bio-Gest” per your suggestion, and I no longer see the recognizable food pieces “on the other end!” Sometimes there are still pieces, but they are no longer recognizable – it is remarkable what this little addition made in my GI functioning. On a second note, not so happy – this morning I have gotten another diagnosis: fibroids of the uterus. I am a bit overwhelmed to have another condition to research and manage on top of the AIP. I know this is much more than you can address in your comment, but if there is any book, research site, or something that you are aware of, could you be as kind as to point it out to me? Thank you in advance. It may very well be related. 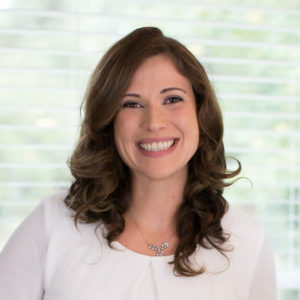 The two best resources are probably The Hormone Cure by Sara Gottfried and maybe also PCOS unlocked by Stefani Ruper (this is an e-book, there’s a link in my sidebar). No, no. That autoimmune disease and fibroids might be related. The AIP is probably a good place to start because it is so nutrient dense. I would also recommend some big efforts into increasing sleep and managing stress. Sara, you nailed it in the head. Sleep and Stress. I am doing my best with that, but those two changes for me are even harder to change than the diet. When I start feeling awful, I try to sleep and de-stress, but as soon as I feel a little better, I quickly forget and try to go at a full throttle….But thank you for the reminder, I am re-committing again. On another, more positive, note: I think the AIP is beginning to kick in – this is Day 12, and for the first time I woke up with “dry” sinuses! I mean no congestion, no runny nose, no itchiness – just empty and spacious – like a whole “concert hall” opened up inside my nose! What a nice feeling. Maybe, I can remember this then next time I start craving dairy. (I don’t know what’s up with that – I miss other things too, yes, but with dairy, it is much more intense – more like a real CRAVING.) I am not sure there is such a thing as “dairy addiction!” 🙂 Anyway, just wanted to share my little steps towards betterment. I hope you are well! Thank you so much for all the information – love it. i tried writing a message before and it didnt get through so hope this finds you… I was diagnosed with mixed connective tissue disease and spent a long few years in a lot of pain and in and out of hospital, completely thank God i am still here. 2) Seeing as I have been very very unwell in the past (my target is to come off prednisolone) i thought it might be a good idea to do the whole shebang for max health probability… so I am basically eating all fruits and all veg (minus legumes and night shade) and fish/meat. Are there any supplements that are a must-have for reparing the gut or other essentials? 3) Some versions of AIP say you can eat any meat and other say only lean meats like chicken breast? 4) Is it best to avoid all AIP baking for a while? I have been getting pretty hungry! Even though I am a small woman I eat lots of food and finding it hard on a mainly water-based diet… so of course I have sweet potatoes or butternut squash with my dinner (and coconut products for breakfast and avocado for lunch) but throughout the day I thought of making some AIP friendly coconut pancakes but then Ill come past a post and it says avoid AIP baking? so not sure what to follow. Thanks so much for your time and advise. It’s fine to get regular beef. Try and get a few extra serving of fish per week to balance out your omega-3s. 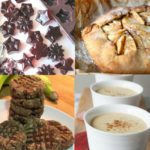 You can do AIP baking, just make sure your blood sugar levels are well regulated and you aren’t overdoing the fructose. No, you do not need to stick with lean meats. Fat soluble vitamins are so so so important and you need to eat fats to get those vitamins. You might want to consider some digestive support supplements, just to help maximize the absorption of nutrients from your foods. Magnesium can be helpful, especially if sleep and stress management aren’t perfect. L-glutamine can help restore gut barrier function. Sleep is super important. Hello, Sarah. I’ve pre-ordered your book and am eagerly awaiting it. I love that you research things very thoroughly before presenting info. I plan to introduce our doctors to your book! I would love your suggestions as I try to prepare my husband for major surgery. My husband has hidradenitis suppurativa. (He is totally healthy otherwise.) After years of drugs (Accutane, prednisone, Remicaid, steroid injections, etc.) his body has been depleted. Due to the effects of the drugs on his bones, he now needs a HIP REPLACEMENT!! Yes, I remember that about prednisone. Sigh. So, my suggestion would be to get some Great Lakes Collagen and start supplementing with that, eat liver, heart, tons of fish and loads of veggies (heavily pigmented fruit like berries would be great too), take digestive support supplements and basically just try to flood his system with nutrition. Skin is basically the lowest priority for the body in terms of healing. I don’t think you need to do targeted supplementation so much as focus on the most nutrient dense foods you can get. You could do something like fermented cod liver oil, Prescript-Assist probiotics, and maybe a magnesium supplement too (since magnesium isn’t as richly found in the food supply anymore and stress depletes it). 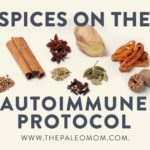 Thanks for building your awesome site, the well-written, informative articles have given me a really in-depth view of Paleo for auto-immune conditions. I’ve been following a strict version of the auto-immune protocol (pretty much the same as you recommend for food psoriasis) for about 8 months and it’s been amazing! 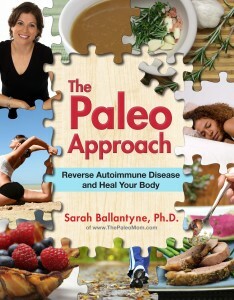 I’ve completely put all my auto-immune symptoms into complete remission so long as I stay Paleo. 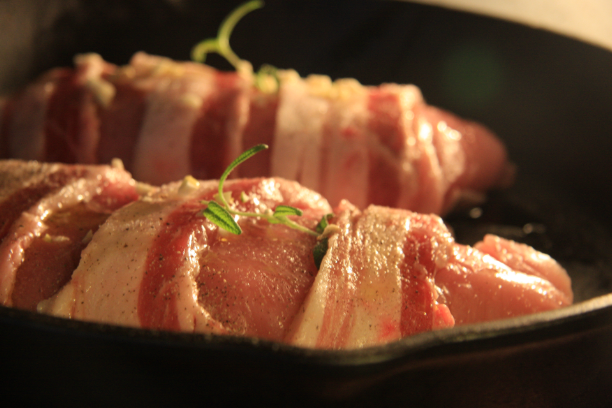 I would like to eventually introduce some Paleo treats in very small quantities (eggs, cheese, wine, dry cider, white rice ) and possibly once a month, dare I say it, even some gluten in the form of a bacon sandwich, somewhat of a religion here in the UK. If I eat these now I may or may not get some mild itching. I know I should never eat these things again in an ideal world but being able to have them on a rare occasion would really help me enjoy a more normal lifestyle, especially the alcohol as I am late twenties and would love to get that part of my social wlife back. Would it be OK to do the above providing I only have a mild or no reaction? I think it’s up to you to find your own balance between compliance and sustainability. If you feel like the mild reaction is worth it, then that’s your choice. I would recommend finding some gluten-free bread though. The damage from gluten can take a really long time to heal from. Thanks for answer, that’s great. I just read your post ”How long does it take to heal the gut from gluten exosure”- needless to say I’ve just decided not to eat gluten ever again! And simply be grateful for finding the Paleo diet. So glad I know that now, this site is fantastic! Dear Sarah, I was just wondering what exactly is happening with autoimmune damaged tissues once going AIP? As the autoimmune attack stops, are the tissues regenerated? I tried to google the exact mechanism of tissue damage during the autoimmune attack – but could not find much info. Do the cells go to apoptosis or just become ill? In addition to healing the gut & recovering multivitamin balance in the body with AIP, I would also like to take steps for the tissues (not only leaky gut) to heal faster & what is needed for that. Thank you!!! It depends greatly on the tissue, the extent of the damage, your nutrient status (do you have the building blocks to repair), just how well the immune system is regulated on the AIP, how long you’ve had your autoimmune disease and how aggressive it was. Many people see dramatic improvements in symptoms and restoration of organ function. Some people just see their diseases stabilize but don’t really see improvement. The best things you can do to maximize healing are sleep tons, manage stress and get lots of mild or moderate activity, and eat an extremely nutrient-dense diet full of seafood, offal, and vegetables. Last winter, for 10 weeks I eliminated dairy, sugar, grains, and nightshades, for the purpose of addressing mild psoriasis on my hands and chronic recurrent sinusitis. I saw no improvement during that time in either condition. I spent so much time and energy planning, shopping cooking (foods I didn’t really like much) and cleaning and I felt sorry for myself. I “gave up” and reintroduced limited amounts of dairy and grains and occasional nightshades. Over the course of the year, I’ve cut back on dairy and grains and have fewer and less severe sinus issues, but my psoriasis persists. In re-investigating the AIP to address psoriasis, I’m already feeling sorry for myself when I contemplate giving up nuts, seeds and egg foods. The way I have made dairy- and grain-free work so far was because I used coconut products and nut flours/butters and included eggs as protein (along with hemp protein powder and oil), and now I’m wondering how I can possibly make this work for myself without those products. As I write this, I see that I’m trying to motivate myself to make those changes just for a trial period to see how they work, because if I look at it as “I’m giving these things up forever” I look at my hands and think “It’s not worth it” but then when I consider my psoriasis is an outward symptom of an inner, pervasive disorder – I want to correct it. I guess I’m about to learn how to find, cook and like new meats, what seems like an avalanche of vegetables (the sheer quantity seems intimidating) and more fish. No question, just needed to get this out through my fingers! I really do appreciate all of your expertise and your caring; this is a great resource for information. Now if you could just do all of my shopping, cooking and cleanup, life would be good. Some liquid with meals is totally fine. Definitely drink what you need to take supplements and to quench thirst as you eat (just don’t wash your food down in lieu of chewing thoroughly). This should not be a low calorie diet and you definitely want to make sure that you’re eating some carbohydrates with low thyroid function. I definitely recommend incorporating starchy vegetables into your meals. Whoops, last piece of info. I’ve eaten organically and avoided chemicals since 1990 and my antibodies were never over 100 although recently they spiked at 250- still low compared to some folks but still, I’m not thrilled to see the numbers go up. Can a higher number just indicate a temporary flare? When I eat rice or corn or soy sauce or potatoes I sometimes wake up with stiff finger joints, puffy eyes and dark circles around them- not sure if that’s a flare or feeling like I have to stagger into bed . The cross-reactivity test and the elimination diet should clear this up for me I hope. Just wondering how much store to put into these numbers? Many thanks again. I’m reading your book right now. Thank you for all your information. My daughter is 5 years old and has hyperlexia, a form of autism. she is very small for her age and recently tested positive for A1298C homozygous A mutation. Her thyroglobulin auto AB levels were high (42 IU/ml). She was in GFCF clean diet in the past. Now we are doing Paleo diet without nightshades and seeds. Haven’t given up fully on almonds and egg yolks yet. Can you give me any further suggetions on her diet? Just starting AIP after 2 years strict Paleo. More things to give up, but if it helps me get better than I can do it. Just want some safe herbal teas I can drink. BRAND names would help. I have Ginger Aid by Traditional Medicinals and Herbal Chai Dreamscape by Oregon Chai and I am assuming these are out. I love licorice tea and I know I cant have that either. So some good brand names of Ginger or Chai would be good. Also, on side note. Where do Water Chestnuts come in. Safe? or No No. Thanks. The lemon ginger tea by yogi has licorice root and other added ingredients like my ginger tea by traditional medicines. So, I don’t think that is AIP either. Does any company make plain herbal ginger, cinnamon, chamomile teas that are AIP friendly. All I need is one good tea to keep me on track in addition to the water I drink. Thanks for being so helpful. 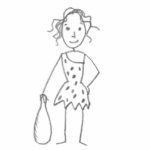 Still looking for a list of brand names that Paleo mom would justify as good. I love the Paleo Approach book. 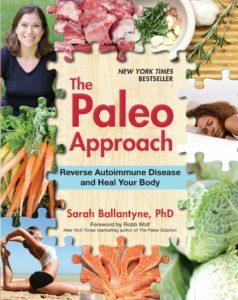 I am anxiously waiting for the cookbook as I am having trouble finding and navigating through the recipes that you have on the Paleo mom website as they are not all autoimmune protocol. I was wondering if you have thought of having just one website. The recipes with eggs and other ingredients that we are not suppose to have is difficult for the newbie. Are dried fruits allowed? Like Raisins for snacking? What about brand names of herbal teas? Thanks. I was wondering if these supplements were okay on AIP? (or would Sarah prefer prescript assist probiotics instead? Also is Raspberry Leaf tea and Roasted Dandelion Root tea from Traditional Medicinals okay on AIP? Lastly, is Teecino, gluten free dark roast an okay substitute for coffee on AIP? or is chicory and ramon seeds bad? Hi! I was wondering if you ever got a response or answer to your question about teechino? I have been wondering the same while I am on AIP and have not yet reintroduced foods yet. Hi!! Love your books and website and would sincerely love to hear your advice regarding upcoming surgery for hiatel hernia….found out my diet post surgery will be purely liquid for 10-14 days transitioning to pureed foods…. need help finding/sourcing compliant liquids for this time….. Ive been AIP for 2 years and know hospital food is not compliant ….thank you in advance for your help! Hi, I’ve been on AIP for Hashimoto’s for the last 6 weeks. I really miss coffee, I’ve need reading that de-caf is not AIP friendly, but what about chicory, dandelion, and ramon seeds? Thanks! Sorry for the awkward, controversial question but, can I smoke weed while doing AIP? Not on a daily basis; more of a once every couple of weeks in a small amount?